Farrar Straus Giroux, 9780374371807, 230pp. Sophomore Cammie Bliss has long been labeled a stalker by her peers, but when a cute new boy named Toby arrives at her small town high school, Cammie has a chance to be "normal." Trouble is, she can't really help herself and she's up to her old tricks of "intense observation and following" pretty quick. Making things worse, her younger brother is dating one of the most popular girls in the school, her parents have separated, and her dad has begun to watch their house most nights. Cammie has simply got to figure out why she behaves the way she does, and end it once and for all. 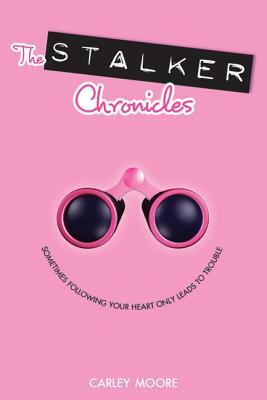 Find out if Cammie is successful in Carley Moore's hilrious and poignant "The Stalker Chronicles. Carley Moore is a poet and writing professor at New York University. She lives in Brooklyn, New York, with her husband and daughter.